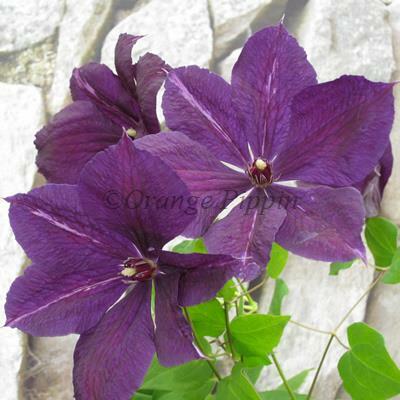 This wonderful Clematis freely produces the most sumptuous, rich, deep velvety purple flowers with yellow centres during July and August. Clematis 'Viola' was raised by Uno Kivistik of Harjumaa, Estonia. Clematis 'Viola' is a non-evergreen climber can be grown against a trellis, garden fence, wall, arches, pillars, pergolas, clambering over tree stumps and through large shrubs in the flower border and would look particularly stunning grown against a plant with silver coloured leaves.